The Nigeria Network of Non-Governmental Organizations (NNNGO) in collaboration with CIVICUS World Alliance for Citizen Participation, organized a one-day workshop on the Universal Periodic Review Advocacy Strategy. NNNGO gathered NGOs together to develop advocacy strategies for effective Civil Society participation in the upcoming UPR evaluation. 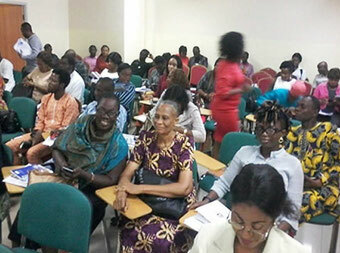 Participants, numbering about fifty (50), worked in teams to develop advocacy strategy to reach out to the government, after which different teams made presentations. These would be collated by NNNGO for use in engaging with government officials in preparation for Nigeria’s review at the UN Human Rights Council in November 2018. It was held at the Vantage Hub 2nd Floor (OPAL HALL), Mosesola House, 103 Allen Avenue, Ikeja, Lagos on Wednesday June 6, 2018. The first EPDI Nigeria Board meeting for the year held on March 11, 2018. Various issues regarding the organization were discussed and decisions taken to strengthen the organization. One of the major issues discussed at the meeting was development of a sustainability plan for EPDI. Various suggestions were made regarding this and is still being developed. Our appreciation goes to Jonathan Dudding of ICA:UK who raised the issue, reiterating what the Executive Director also had in mind. We look forward to further development of this with Jonathan who volunteered to facilitate the development of the sustainability plan. The theme of the two events is “Effective Implementation of AML/CFT Requirements in the NPO Sector in Nigeria” and were sponsored by the Nigeria Network of NGOs (NNNGO), Special Control Unit Against Money Laundering (SCUML), with the support of Open Society Initiative for West Africa (OSIWA) for the purpose of protecting the sector from money laundering and terrorism and to ensure the sector is doing its work effectively. The Executive Director attended the two events on February 19, and March 28, 2018 respectively. EPDI has been engaging the students in Melville College for some years now and the impact of our programme has been encouraging. This will be collated in due course. In March, we had a session with the SS2 students, who had participated in our programme in the last two years. We started with an ‘ORID’ conversation (ICA’s Technology of Participation) to find out what they still remember from our discussions and the effect on them; after which we did a review of some things on character development – the need to be grounded in their beliefs and values now before they are exposed to the wider world. Fifty One Students (20 boys and 31 girls) were in attendance. Their responses were quite encouraging, knowing that the seeds we are sowing are growing and bringing forth fruit in the lives of these precious teens. We started a series of talks on Sexuality Education sometime ago with a discussion on My Private and Public Parts. The purpose was to let them know what part of their bodies can be seen and what the parts that are sacred and no one has the right to touch or fiddle with them. 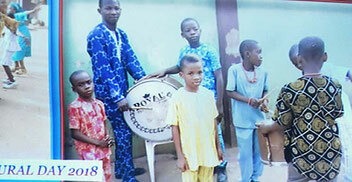 Early March the School organized a cultural show and all children dressed in their native attires displaying the part of the nation they come from. In January 2017, EPDI Nigeria Executive Director, Hannah Anighoro, participated in the first meeting on January 26-27, 2017 of the South West Zonal Committee of CRUDAN, an NGO membership organisation to which EPDI is a member. Hannah is the Vice Chairperson of the Committee. 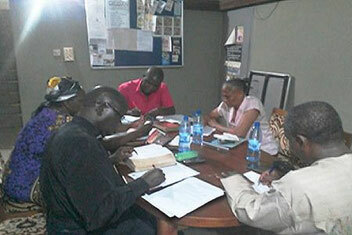 During the meeting, an introductory training was conducted for members of the Committee by the Chairman, Revd. 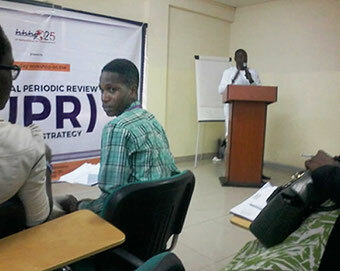 S. Ajayi, on ‘Church and Community Mobilization Process (CCMP)’. The demand for the programme is on the increase and more facilitators are needed to meet the need. The other modules would be taken in due course, with the next training slated for March 2017. A second activity was the meeting of stakeholders on ‘Project Experience Dissemination Session (PEDS)’ organized by the Educational Co-operation Society (ECS) on the project it has been implementing on Recuperating Civil Society Space in rural areas of Nigeria. The objective of the project is to strengthen civil society by promoting concerted community processes, which foster community development in equity, and gender equality. The Project Experience Dissemination Session (PEDS) was organised to disseminate experience gained on this project and share best practice amongst social sector actors and partners in social service delivery. 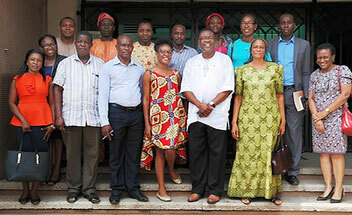 The meeting which took place at the ECS Premises (Former Lagos Business School building), Lagos on January 31, 2017 attracted all partners involved in the project, including EPDI, other NGOs and the Media. The need for cross-sector partnerships and continual experience sharing by social sector actors were necessary for enhancing partnerships, sharpening capacity and showcasing activities of partnerships that work with the public.